Comics Alliance announced last week that Zac Gorman will have his first book releasing this October, and rather fittingly, it's an original graphic novelisation of an existing video-game. 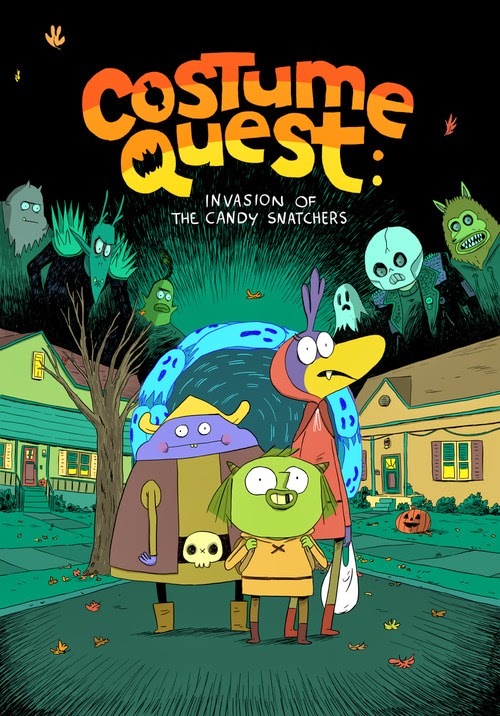 The game in question is Costume Quest, which finds it's young protagonist and friends battling through candy-snatching beasts called Grubbins on Halloween, in order to travel to another dimension and retrieve their kidnapped twin (players can choose which twin to play as- Reynold or Wren). Gorman's comic book will turn that scenario on its head, instead following a 'good' young Grubbin called Klem, and narrating his adventures on that same Halloween. 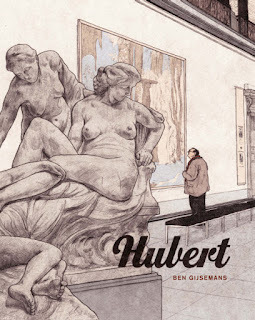 That sort of tie-in book often leads to greater exposure, and I hope that leads to more opportunities for Gorman: he has a lovely style and is a very capapble cartoonist; he started a comic online a while back, Escape From Burger Town, which was really good- I'd love to see more in that vein. Costume Quest: Invasion of the Body Snatches will be published around October, close to the release of the game's sequel, Costume Quest 2.